Margarita Mondays At the Quaker Steak & Lube® Restaurant In Greenville, SC! All Day Long Every Monday! 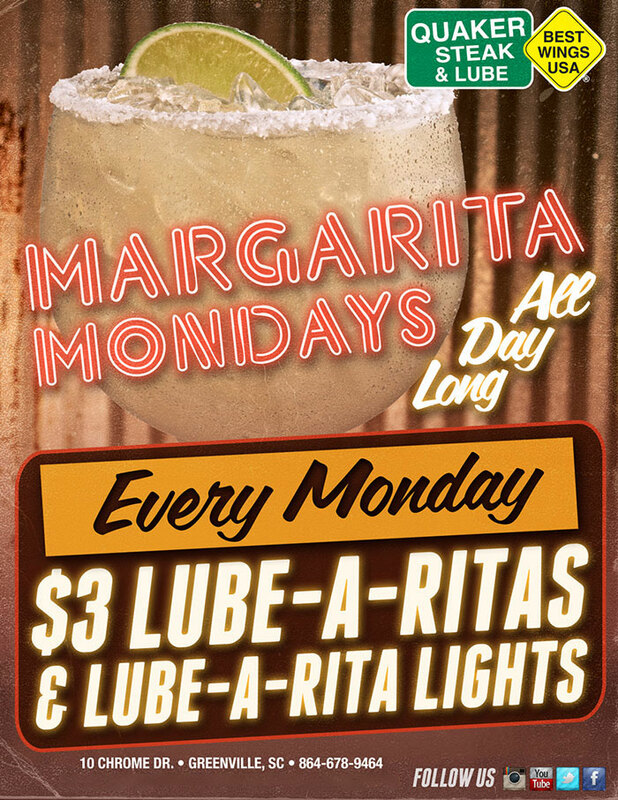 Drink specials – $3 Lube-A-Ritas and Lube-A-Rita Lights.